LOGAN, Utah — As cubesats prove their ability to capture imagery and gather scientific data, developers are eager to send the miniature spacecraft on increasingly complex missions, many of which require propulsion. NASA’s Optical Communications and Sensor Demonstration, slated for launch in 2015 as part of NASA’s Cubesat Launch Initiative, is to use cold gas thrusters to enable two 1.5-unit cubesats to maneuver and operate to within 200 meters of each other. NASA’s Small Spacecraft Technology Program has earmarked about $3.5 million over two years for the project led by the Aerospace Corp. of El Segundo, California. The Small Spacecraft Technology Program is providing approximately $13.5 million over three years for a related effort, Cubesat Proximity Operations Demonstration. For that mission, Tyvak Nano-Satellite Systems of Irvine, California, is developing two three-unit cubesats to rendezvous, conduct proximity operations and dock with one another with the help of cold gas propulsion. Aerojet Rocketdyne is developing liquid propulsion systems for cubesats, including MPS-100 Cubesat High-impulse Adaptable Modular Propulsion System (CHAMPS), a miniature hydrazine thruster designed to provide a change in velocity of more than 200 meters per second, and MPS-120 CHAMPS, a version that uses additive manufacturing to produce the piston propellant tank and miniature isolation system. The MPS-120 project is designed to demonstrate that hydrazine can be safely handled and stored on cubesats. “Just like large satellites, cubesats eventually will fly pressurized systems with liquid propellants,” Carpenter said. Busek Co. Inc. plans to demonstrate the use of an iodine-fueled Hall effect thruster on Iodine Satellite, a 12-unit cubesat scheduled for launch in 2017 by NASA Marshall Space Flight Center in Huntsville, Alabama. “The advantages of iodine is that it has three times the propulsive energy per liter as xenon,” Dan Williams, Busek business development director, said by email. 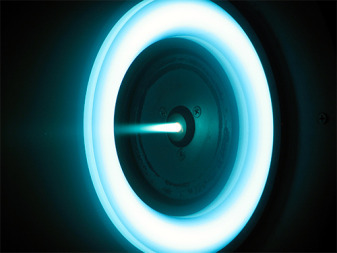 In addition, Busek is developing propulsion systems based on electrospray, micro-RF ion, ammonia-fueled micro-resistojet, green monopropellant and micro-pulsed plasma thrusters.